Patent on respiratory support - Patent my French! One reason for this is that revocation verdicts often tend to be quite interesting to comment upon. For a change, the patent at stake today did not fully die. But you could say that it is on respiratory support. And how appropriate, given that the title of the patent is “a respiratory gas supply circuit for an aircraft carrying passengers“. This patent (EP 2004294) was filed by Intertechnique in 2006 and granted in 2010. This French company has been part of the Zodiac group since 1999. In 2011, Intertechnique sent a warning letter to B/E Aerospace Systems GmbH in which they enquired about the possible development of products by the B/E Aerospace group similar to those claimed in the patent. The official answer was that no current product infringed the patent, and that all rights were reserved regarding the development of new products as well as a possible challenge of the validity of the patent. In October 2012, B/E Aerospace Systems GmbH filed a nullity suit against the German part of the EP’294 patent in front of the Bundespatentgericht. The German court held that the patent as granted was invalid, but that it could be maintained in amended form according to an auxiliary request. This ruling became final in March 2015. Immediately thereafter, B/E Aerospace threatened Zodiac Aerotechnics (the new name of the patent proprietor Intertechnique) with a similar nullity suit in France, and asked them to either withdraw the French part of the European patent or to grant them a free license. Zodiac Aerotechnics refused, so that B/E Aerospace filed the French nullity suit in June 2015. Two classical legal defenses were raised by the patent proprietor, both recently addressed on this blog: first, the nullity claim was inadmissible as the claimant did not have standing to sue, and second the nullity claim was time-barred. […] The nullity claimant must justify that, at the time the complaint is filed, there is a sufficient interest to free an upcoming exploitation of the patented technology or a similar one, and establish that the patent at stake seriously threatens to impediment its economic activity. The court noted that the respective parties were competitors as they were both active in the field of in-flight oxygen supply. Most importantly, B/E Aerospace received a warning letter in connection with the EP’294 patent and did not exclude in its response that products under development may ultimately fall within the scope of the patent. B/E Aerospace also asked Zodiac Aerotechnics to forsake the French part of the patent or to grant a royalty-free license. The court further noted that B/E Aerospace filed two French patent applications claiming a Germany priority of 2014, relating to a similar subject-matter, and in which the EP’294 was mentioned in the background section. Under these circumstances, […] B/E Aerospace Inc. as well as its subsidiary B/E Aerospace GmbH not only demonstrate the existence of a competition context, but also of an objective link between the products that they develop and the EP’294 patent. Finally, they demonstrate that they have exploitation plans regarding devices which, although they are not necessarily already on the market nor analyzed as being within the scope of the patent, may possibly be threatened by the rights that it confers. This makes sense, and it would actually be quite surprising if the recipient of a warning letter mentioning a certain patent, even in a different European country, had no standing to request the cancellation of that very patent. In the unlikely event of a loss of cabin pressure, oxygen masks will automatically drop in front of you, and the front part of the aircraft will be shot forward like a bullet.Second legal defense raised by Zodiac Aerotechnics: that the action was time-barred. The starting point of the limitation period is appraised in concreto. Therefore, beyond any reference to publication dates which would require constant monitoring by stakeholders and which, even in a small market, seems to be hardly feasible, it should be determined at which date B/E Aerospace knew or should have known that the EP’294 patent was a threat for their economic activity, in view of their development plans and in view of their products under development. As a reminder, the limitation period is 5 years. Zodiac Aerotechnics argued that the starting point for this limitation period was either the publication of the PCT application on which the patent was based (namely October 25, 2007) or the formal publication date of the application at the EPO (namely December 24, 2008). In both cases of course, the action filed in June 2015 would be time-barred. However, in accordance with the principles recalled above, the court refused to take either of these publication dates as an automatic starting point for the limitation period. The court noted that B/E Aerospace may have been unaware of the application at these publication dates. 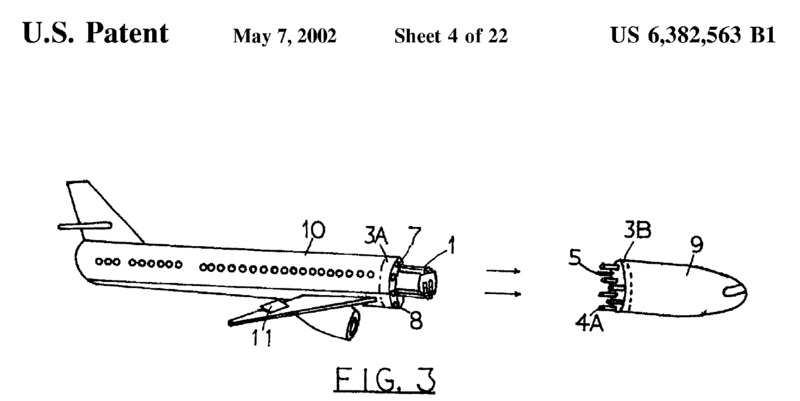 Also, there was no evidence that there was any product related to this patent under development at that time. This letter must be analyzed as the cause for B/E Aerospace’s standing to file an action for nullity of the patent at stake, since it is at this stage that they became aware on the one hand of the existence of the patent and on the other hand of the fact that it could lead Zodiac Aerotechnics to possibly assert the EP’294 patent against them, based on the information that they had. In summary, the court thus considered both issues of standing and limitation period in combination. The day on which a party acquires standing is also the starting point for the limitation period. Another possible take-away message is that the sending of a warning letter is likely to grant standing to sue to the recipient and to start the time-bar clock. Of course, the circumstances of each case are unique, and this may not always be true, but at least this can be a reasonable prima facie assumption. As a result of both legal defenses being discarded, the court reviewed all claims and came to the conclusion that claims 1 to 6 lacked inventive step. However, dependent claims 7 to 9 were found to be valid. It is not apparent from the decision whether the auxiliary request based on which the patent was maintained in amended form in Germany corresponds to the subject-matter of one of these claims 7 to 9 or not. Anyway, a few years ago, it was commonly thought that only the main claim mattered in nullity proceedings, and that if this main claim fell, then all dependent claims would be only superficially examined and would be very likely to get stroke out as well. I don’t know if this thought used to be correct, but at least it is probably not correct anymore, as today’s ruling, just like the decision discussed last week, illustrate that French courts now provide detailed reasons as to why each and every claim is or is not valid. CASE REFERENCE: Tribunal de grande instance de Paris, 3ème chambre 3ème section, April 28, 2017, B/E Aerospace Inc. & B/E Aerospace Systems GmbH v. Zodiac Aerotechnics, RG No. 15/09770. Pingback: Summertime - Patent my French!